Cartist Automobile Art Festival is an annual art festival held in Jaipur, Rajasthan. It is an initiative to promote indian culture and art along with showcasing the love for vintage cars. The basic idea of Cartist is to spread awareness amongst masses and classes regarding the importance of salvaging the epitome of royalty, vintage and classic cars. Students of Amity School of Communication actively participated as event volunteers for the prestigious event held from 12-16th April, 2017. The students were assigned different key departments like Logistics, Travel & Accommodation, Media Desk, Content Writing and Registration. The event provided a golden opportunity for the students gain practical knowledge about the various event management skills and it was a very enriching learning experience for the students. A Guest Lecture was organized for the students of Amity School of Communication on 7th April, 2017 dealing with a very important thrust area of Public Relations, “Skills of PR Writing and creating Media Relations”. The lecture was delivered by Mr. Manoj Sharma, Director, Public Relations, Goldmine Advertising, New Delhi. The lecture pointed out towards some of the technicalities and guidelines of certain types of PR Writings, specially dealing with the qualities of a good Press Release. Mr. Manoj Sharma also highlighted some very important principles of creating and maintaining good ties with the media professionals. The lecture was also very interactive as it addressed to some of the very important queries of the students related with the field and proved out to be instrumental in creating interest in them towards the profession. 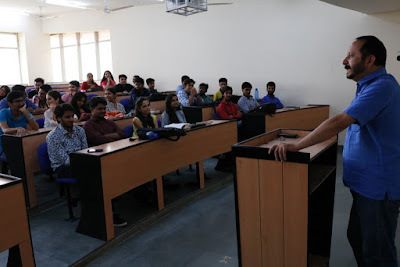 Mr. Manoj Sharma, noted academician and the director of Public Relations at Goldmine Advertising, New Delhi visited Amity School of Communication and interacted with students on One day workshop on changing trends in public relations - globalized perceptive". Amity School of Communication conducted an event “Train Your Brain” on 17th November 2016. The event consisted of two sessions, first a panel discussion on “Professional Skills And Soft Skill Development” presided over by Dr. Manish Verma (Director, Amity School of Communication), Dr. Harendra Gupta (Director, Amity Law School), and Major Gen. C. P. Singh (Dean Student Welfare). The second session focused primarily on Interview Skills development presided over by Mr. Surendra Grover (CRC Director). The speakers engaged with the students in an interactive discussion, giving innovative insights regarding the importance of soft skills development and points to keep in mind during an interview plus the need for grooming interview skills. “A winner is who recognizes his talents, works his tail off to develop them into skills, and uses these skills to accomplish his goals” - Dr. Manish Verma, Director ASCO has enlightened the students. Further discussion was carried out by the panelist and emphasis was to develop the skills which is needed in an industry.A motivational speech was followed by Major Gen. C. P. Singh (Dean Student Welfare), he motivated students by telling them that whatever you do today can improve all your tomorrows. “People who wish to go into the future should have two skills to succeed - the ability to deal with people and the ability to sell” -Dr. Harendra Gupta (Director, Amity Law School). The panelists shared their own accounts recounting instances when the very skills discussed. The students also enthusiastically asked questions regarding the topic and were answered satisfactorily by the panelists and lastly, Mr. Surendra Grover CRC Director shared his views and tips and tricks to develop the personalityMoreover, a very essential topic was covered which the students were not aware of i.e. SMART goal - SPECIFIC MEASURABLE ACHIEVABLE REALISTIC AND TIME BOUND. ASCo film club organized a session on Basics of Scriptwriting. Ms Nisha Thapar (Assistant Professor ASCo) took the session and talked about the nuances of scriptwriting. 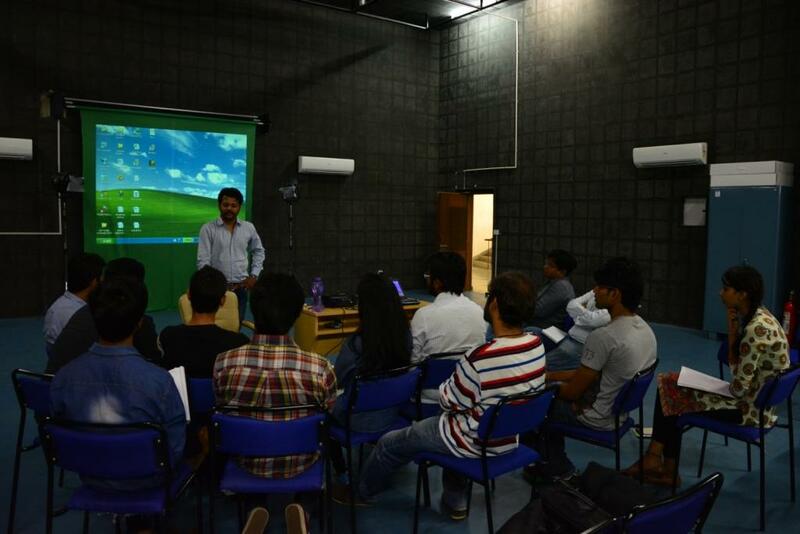 Students were made aware about the latest professional scriptwriting softwares used in the industry. Post session, students made rough draft scripts which can be made into short films. The weekly film screening and other film related activities are held at ASCo every Wednesday 2:00 at Seminar hall. Even though the new media is no more new to digital citizens, the differentiation of tools and toys of digital and social media is still in undefined terms to them. ASCO students plan their career options in the field of digital and social media as the industry in growing day by day in India. 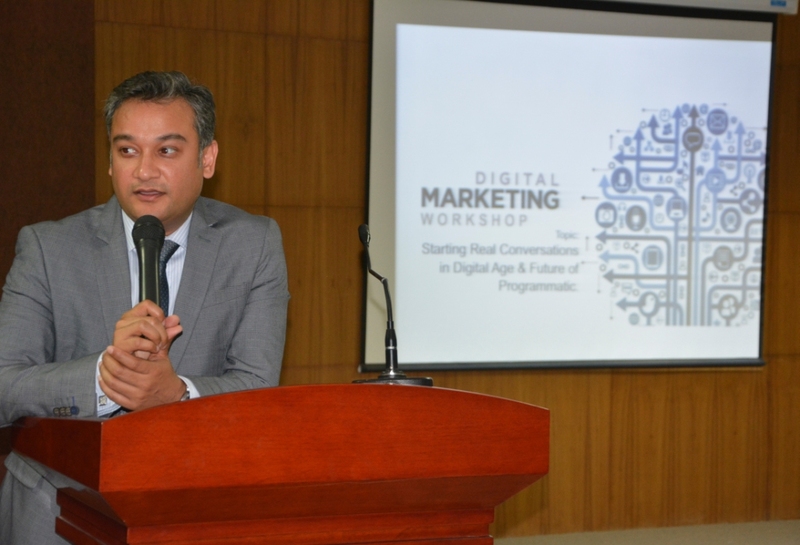 Amity School of Communication organized a one-day workshop on digital and social media marketing on 15th October 2016 at Seminar Hall, ASCO. Mr. Faisal Haq, AVP Operations, WATConsult handled sessions. Mr. Faisal Haq covered advanced level of digital and social media marketing with special attention to Google platforms. He explained the nexus of Google AdWords and AdSenses which control the major shares of digital media scene. He also discussed various case studies which helped students to learn in depth of social media marketing. The workshop ended with student assignment, where student groups presented their proposal for a digital media marketing. The workshop finished with a positive note where students are left with fresh ideas to implement in coming days of student and professional life. Amity School of Communication conducted one-day Short film making competition and photography exhibition on account of Innovation Day - 2016. Innovation Day is celebrated each year on 28 September on the Birthday of Hon'ble Chancellor Dr. Aseem Chauhan. The theme of this year's Innovation Day was "Ignited Minds – Journey to Innovation" in which all department organized various events which aimed to bring out the innovative ideas of students and faculty members. Amity School of Communication - the department which is known for its innovative ideas in teaching, mentoring and practicing organized short film competition and photography exhibition. The exhibition and short film screening were inaugurated by Hon'ble Vice Chancellor Prof S.K Dubey. There were more than 100 entries for the photography and 8 entries short films. Prof. Dubey congratulated the efforts of students to make the event successful. 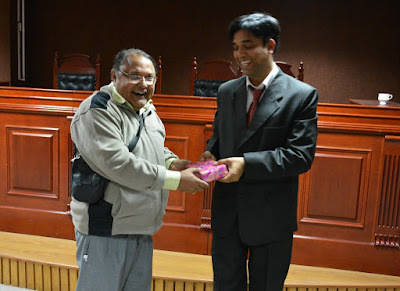 The short films were screened and awards were distributed by Prof. Manish Verma. A special talk on "Innovation in the field of Media Production" was delivered by Dr. Ashish Rao, Assistant Professor, ASCO. 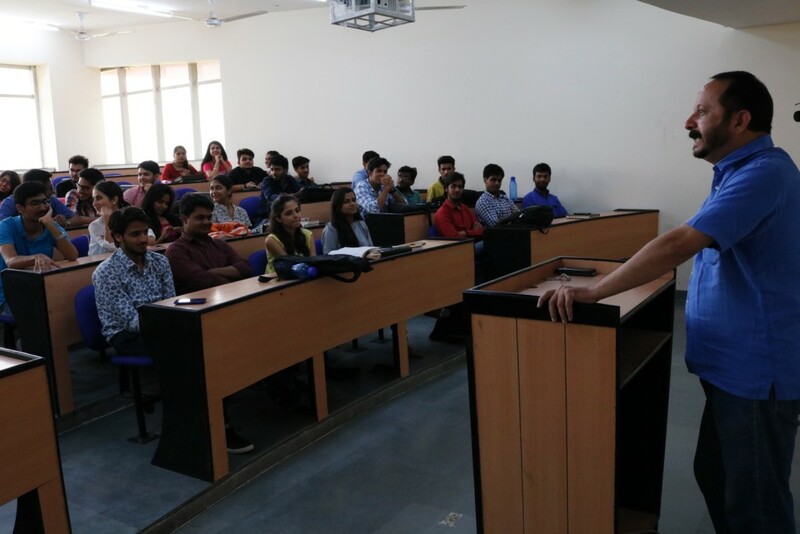 Amity School of Communication organized a guest lecture on Public Relations, Events, Corporate Communication on 12th September 2016. Dr. Arvind Kalia, National Head Mentoring, Rajasthan Patrika was the chief guest of the day. He interacted with faculty members and students on various dimensions of the topic. The topic of discussion was on PR, Events, Corporate Communication. Dr. Arvind Kalia who shared his vast knowledge and work experiences among the students, he discussed with a case study of PR professional. He has also focused on current scenario on PR Industry. The students shared their concerns and interacted with the leading industry expert. 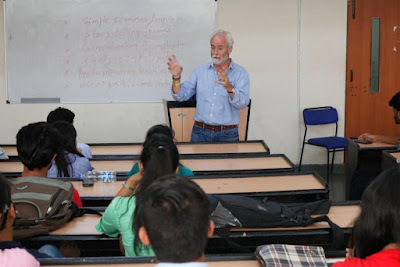 Amity School of Communication, Amity University organized a guest lecture on video art by Paul Holmes, Academic Lead, International School of Arts and Creative Industries at Edinburgh Napier University, Scotland on 24 August 2016 at Seminar Hall of the school. Apart from academics, Paul Holmes, is an active visual artist whose works were exhibited around the world. He introduced the world of video arts to the students. He screened his works such as “Out of Box”, “Persistence of Vision” and the works inspired him. He interpreted his works with philosophical and practical views. This session helped the students to understand the new aspect of the visual medium apart from entertainment. He stressed on personal obsessions with art than a mass medium. The interactive session at the end found meaningful when students raised doubts and concerns on the topic. The odd semester of 2016 - 17 academic session started with visit of International media experts. Dr. David Dunkley, Nick Davies and Prakash Chandra Hota, the famous Journalists whose works are known across the world visited Amity University and interacted with the students of Amity School of Communication on 1 Agust 2016. They gave them a piece of advice and information about the world of Journalism. The students really learnt a lot from the lectures that they had attended at the department. Students had a great time with experts and shared their views and concerns which will add credit to the future and career. Workshop on Basics of Photography by EOS Academy, Canon India Inc.
Amity School of Communication organized One Day workshop on Basics of Photography in associated with EOS Academy, Canon India Inc on 19th April 2016. The workshop included lecture, practical demos and interaction. Mr. Nitesh Pandey, Marketing Programs North, EOS Academy, Canon India was the keynote speaker. 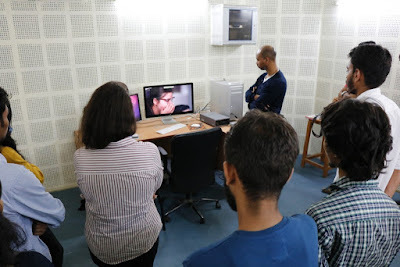 The workshop focused on the basics of photography which included Understanding Camera, Basics of camera, lenses, Features of DSLR, Aesthetics of photography and Lenses – Types, Uses and Functions. The workshop helped students in differentiating the capabilities of a Camera over Cellphone. Students understood the capability of their equipment and students should attain skills to appreciate photography as an art. "The origin, growth and development of public relations is important as the same of human history" Mr. Manoj Sharma, noted academician and the director of Public Relations at Goldmine Advertising, New Delhi. He interacted with students and faculty members of Amity School of Communication during One Day Workshop Changing Dimensions of Public Relations in Today’s Scenario on January 19, 2016 . He talked on various dimensions of public relation in the context of current requirement. The students expressed their interest and discussed doubts in the field of public relation. "This workshop opened up vistas of public relation and also I understood importance of public in an organization" Vaisali (BJMC). 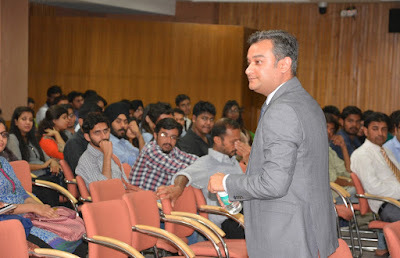 Mr. Manoj Sharma talked about history of Public Relations, Public Relations in India, the job profile of public relation officer in corporate communication techniques and tools of public relations. He also conducted press conference and story pitching exercise for students which gave them industry exposure. Mr Gautam Bhattacharya, Assistant Professor, ASCO presenting memento to Mr. Manoj Sharma as token of gratitude on behalf of ASCO, AUR. Amity School of Communication conducted workshop on print media production and layout designing on 27th November 2015 at the school. 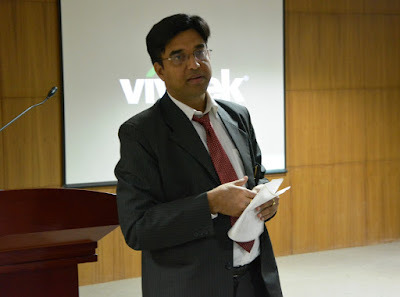 Dr Manoj Lodha (Associate Professor, Haridev Joshi University of Journalism, Jaipur) interacted with young students. The students of BJMC, MJMC, BA FTP and B.Sc Animation and Video Graphics attended along with the faculty members. The topics covered during the One Day Workshop were the introduction of paper size, layout designing & writing style as per layout demand and use of colours in printing industry. 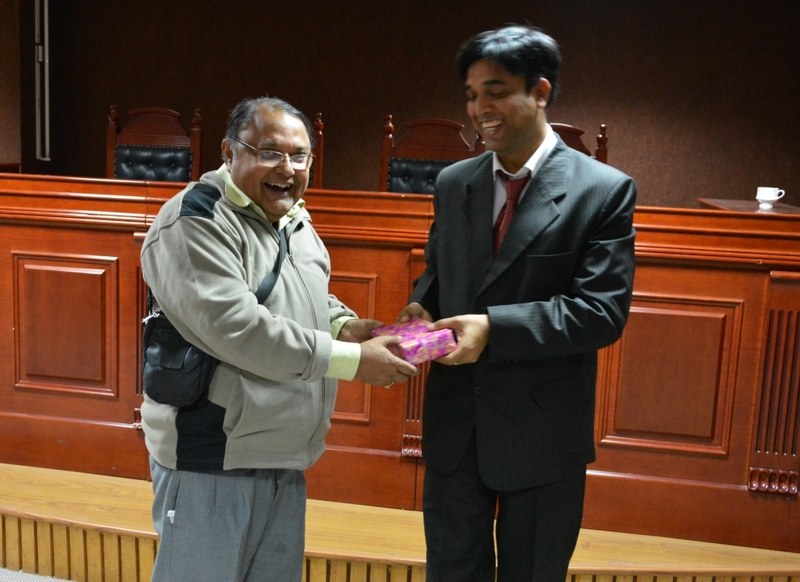 Prof (Dr) Manish Verma, Director, ASCO presenting a memento Token of appreciation to Dr. Manoj Lodha. Amity School of Communication conducted three day International Conference on Media and Communication Studies from 20 to 22 November 2015. The International Conference on Media and Communication Studies 2015 (ICMCS 2015) is succeeding academic conference after its 2011 version. The theme for current conference is Changing Paradigm of Media Landscape in the Digital Age 2.0. The conference was successful with views and opinion from subject experts and academic delegates from all over India and countries like France, UAE, Turkey, Iran and Canada. Prof. Denis Mcquail, the living legend in the field of mass communication gave key note address on the topic "future of field of communication studies. The conference was inaugurated by Dr Gulab Kothari, The Chief Editor, Rajasthan Patrika. He stressed the need for journalistic spirit and ethics of journalism. He said that a good journalist rules the heart and soul of the readers through his vision, thoughts and ideas. Also, the participants were exposed to the latest theory of communication. The conference had academic sessions and expert panel talks which discussed issues of media and communication in the age of digitization. Amity School of Communication conducted two day workshop on Advanced Photography on 18th and 19th October 2015. Young filmmaker and photographer Vishesh Azad was the resource person for two days. There were 16 participants registered ASCO, ABS, ASAP and ASET which included both faculty and student members.Participants explored various theoretical and practical aspects of photography. The hands on training were provided on DSLR camera, Studio lighting, Photoshop and other advanced equipments. At the end of workshop participants bought our individual and group works which included panoramic photographs, photo composting, studio portraits and color experimentation. The workshop enhanced the interest and skills for all participants.